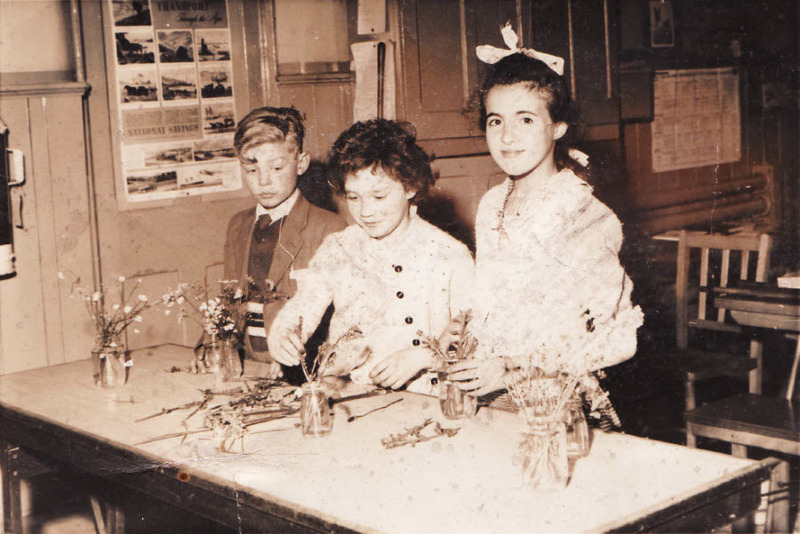 The photo id for this photograph is 1343, in the Kettleshulme album.
? Fielding, Gale Auley, and Ann Warrington. John, I think that will be John Fielding, then like you say, Gail Hawley and your sister Ann. John was our neighbour and sadly died. Their family were Jehovah Witnesses and he was refused a blood transfusion after an accident. He had a brother, Richard? and a sister. They lived in a lovely farmhouse off Kishfield. How lovely to see his face again. Please note that comments will not appear straight away. They will be added by admin if they are suitable, which we are sure they will be.